Thursday, August 2, 2018 is Primary Election Day in Tennessee. To find out when and where to vote, click here. Tennessee is a national leader – in a race to the bottom. We lead the nation in hospital closures per capita. We have more people working for the minimum wage per capita than any other state. Our state’s teachers have one of the highest pay gaps in the nation – earning a third less than comparably educated professionals. We have the third highest rate of opioid prescriptions and an increasing rate of overdose deaths. Yes, we lead in the nation in plenty of ways we wish we didn’t. But this next one beats them all: Tennessee is dead last in the country in voter turnout. Dead last. 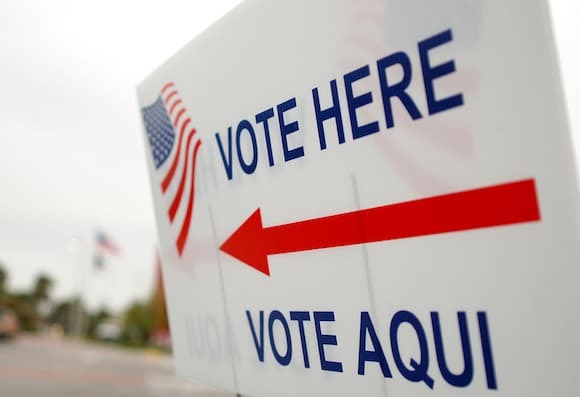 Today is primary day, and early voting numbers indicate some room for hope this year. But the problems we face need far more than modest improvement in our voter turnout. We need our policymakers to stand up, take notice and then get to work for Tennessee families. For four years now, Tennessee lawmakers have debated and delayed action on expanding Medicaid. Now we’re one of a handful of states with no Medicaid expansion dollars to use to keep our rural hospitals open or to battle the opioid crisis. Tennessee’s taxpayers are now subsidizing other states while our own citizens suffer. Too many Tennesseans work multiple minimum wage jobs and still can’t make ends meet. Too many of our teachers struggle financially and work second jobs to support their families. Want politicians to notice you and address your concerns? Want to keep your tax dollars at home to help your family and your neighbors? Want to ensure your child’s teachers are paid well and their school is properly resourced? Want to give your fellow Tennesseans working at minimum wage a hand up and better opportunity? As long as Tennesseans stay home, our state will remain a leader – in our nation’s race to the bottom. What do we have to brag about? Bad health outcomes, low wages, and struggling schools. This year, there are more candidates running for legislative seats in our state than we’ve seen in many years. There are primaries in the Governor’s race on both the Democratic and Republican sides. We have an open U.S. Senate seat. So this year, if you choose to vote, Tennessee can become a different kind of leader. We can help move our nation forward in hope rather than remain stagnant in fear. Elections are about choices. I’m urging you to choose the path toward a brighter future for our state. It’s absolutely free to exercise your right to vote. It requires a small investment of your time, and can make a big difference to your family, your community, and our state. Isn’t it time Tennessee became a leader in all the right categories? Isn’t it time we tackled our tough problems with our famous Volunteer Spirit? If you didn’t vote early, vote today. Help take a small step to move Tennessee forward. Then, take another step on November 6th and vote in the General Election. When we speak with our votes, we force politicians to hear us. Make them hear you today.